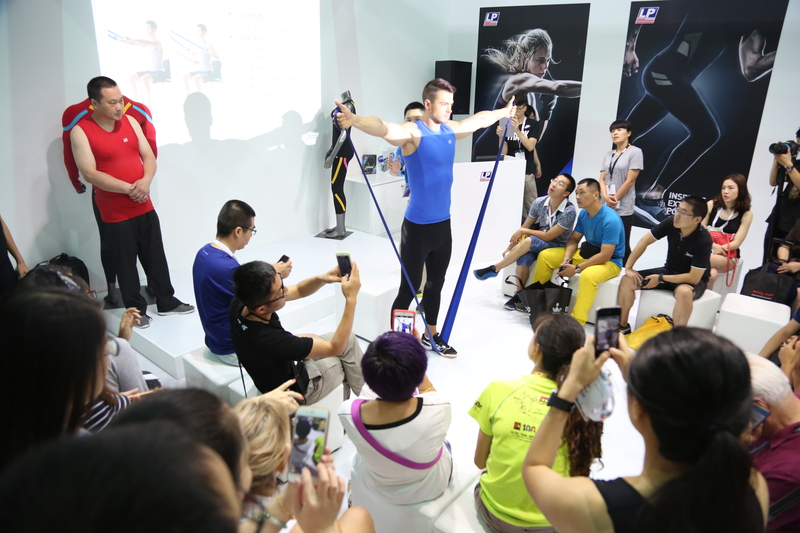 The 2015 ISPO Shanghai took place successfully from the 2nd to the 4th of July at the Shanghai New International Expo Centre (SNIEC) in Shanghai. 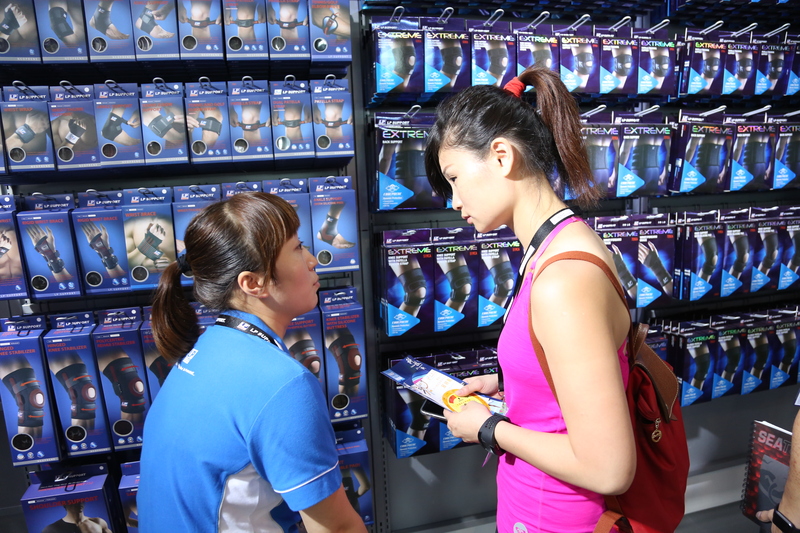 It is the first edition of ISPO’s new segment. As the biggest booth, LP wowed the crowds in attendance with leading technology and a fantastic booth design. The launch of a brand new series, EmbioZ, definitely surprised all LP visitors. The EmbioZ press conference was held on the first day. We were honored to invite one of most famous radio DJ team, Tangsuan, and two professional athletes, Hao, Yun-Xiang and Mao, Yuan-Xun, to share their amazing EmbioZ experiences with audiences. Otherwise, the excellent catwalk also attracted lots of visitors. Five top models wore EmbioZ series products to show off their brilliant design, and also made an impressive impact on the big screen. 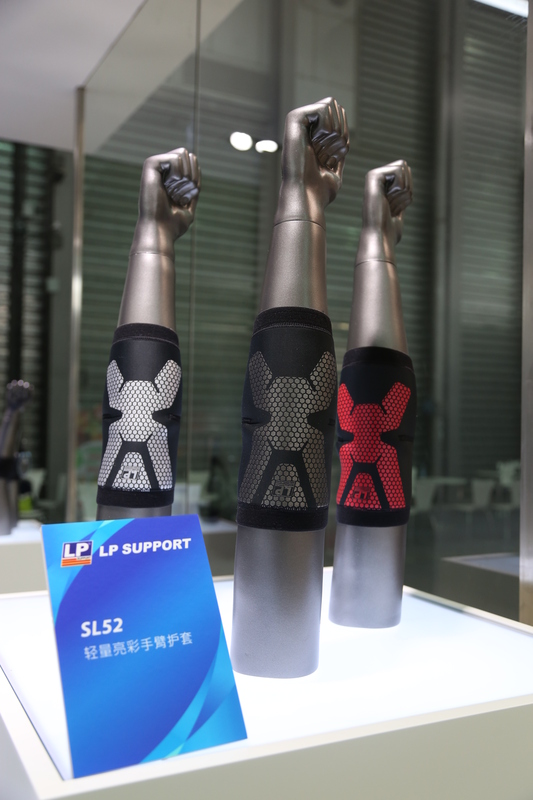 LP has focused on providing the highest degree of protection and comfort for customers during exercise. The light shield brace series is designed with Power Net, breathable mesh, and anatomical design to increase joint stability. The performance sleeve series use the Power Net to improve coordination between muscle groups and provide general compression for light stimulation. What’s more, both series have color options making them the best fashion accessory for stylish athletes. We built a whole new LP store to showcase our amazing products. LP has developed lots of flexible POSM including stands and mannequins for retail and also created a window display to clearly deliver latest product concepts. New visuals and an updated image carry LP past the next milestone. 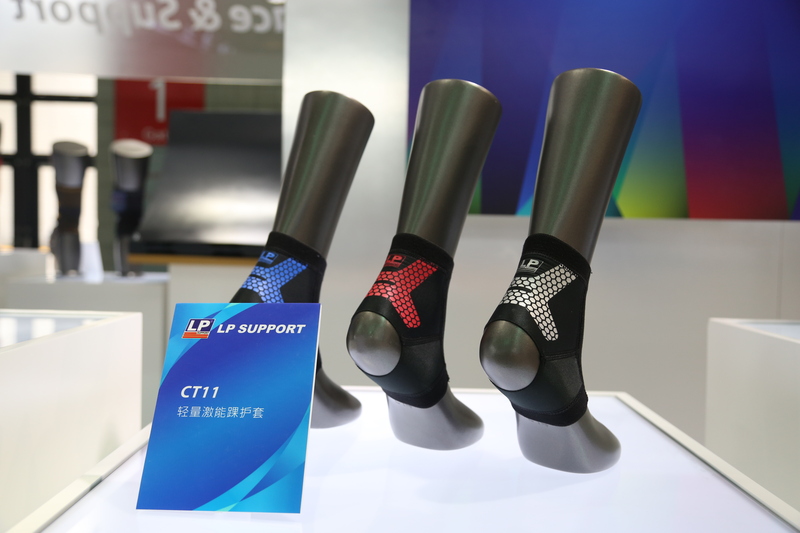 LP also held a workshop to introduce the benefits of EmbioZ and how it helps athletes improve proprioception and blood circulation during marathon running and general fitness. The brilliant technologies perfectly fit athletes’ needs. Furthermore, we invited Jian Guo Yang, who is among the most famous cross-country race runners, to share his experiences and we got a lot of good feedback from the audience. To learn more about LP in China, follow us on Weibo (http://www.weibo.com/lpsupport) and on LP’s official website (http://www.lp-support.com.cn/).